Metal jacketing is the optimal solution for industrial insulation jacketing, cladding or lagging of pipework and equipment. With a variety of uses including, weather and damage protection, aesthetics, and where applicable, fire protection. The system is designed to be used on the insulation as a primary barrier. Surrounded by metal jacketing as an outer cover, secured with stainless steel banding and seals. 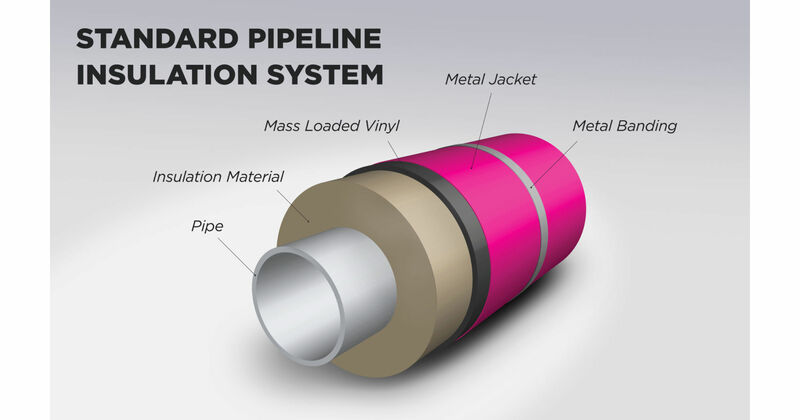 A key factor for using metal jacketing is the prevention of corrosion under insulation (CUI). The base metal in metal jacketing is generally stainless steel or aluminium; selected for their anti-corrosive properties. The aluminium is supplied according to ASTM B209 standard, and the stainless steel according to ASTM A240 standard. Other materials available as a base metal are Aluzinc, Aluzinc ZX Petrochem, Galvanised Steel and Aluminized Steel Types 1 and 2. We supply a number of solutions that are produced in-house to further enhance the traditional insulation system. This is achieved by the lamination of high-performance coatings on the metal. They can be applied to the base metal in various combinations to provide an effective metal jacketing solution to safety critical applications. DryMet® or SoundMet® can be applied to the underside of the barrier. CoolMet® or TedMet® can be applied to the topside of the barrier. Any underside barrier can be combined with any topside barrier for optimal performance. Depending on the specifi­cation, polyester paint or other paint systems can also be applied to the underside or topside with any combination of Met products on the other side. As with all BS Stainless products, quality is assured, we work to ASTM C1729 and ASTM C1676 standards to produce our high quality, efficient metal jacketing systems. Our professional team can provide help with requirements and all ancillaries can be supplied to go with the packaging.